Pour ingredients into an ice filled shaker. Shake until cold and strain into a chilled cocktail glass. Garnish with a lemon or lime twist. Use just enough cranberry to color the drink a nice shade of pink. 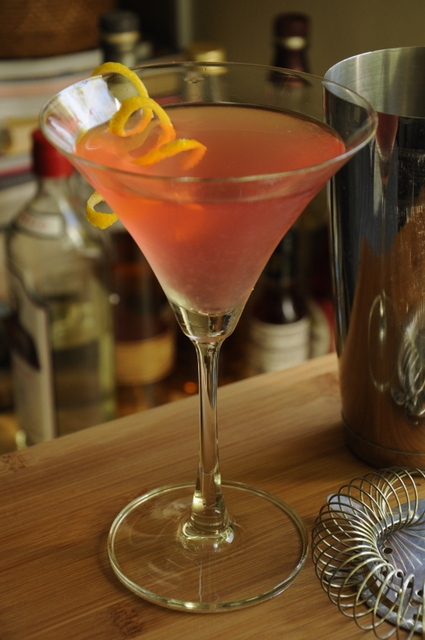 Also check out the Cherry Cosmopolitan.